A team of physicists has managed to make homogenous cylindrical objects completely invisible in the microwave range without relying on metamaterial coatings. The method is based on a new understanding of electromagnetic wave scattering. As it turned out, high refractive index is associated with two scattering mechanisms: resonant scattering, which is related to the localization of light inside the cylinder, and non-resonant, which is characterized by smooth dependence on the wave frequency. The interaction between these mechanisms is referred to as Fano resonances. The researchers discovered that at certain frequencies waves scattered via resonant and non-resonant mechanisms have opposite phases and are mutually destroyed, thus making the object invisible. The work led to the first experimental observation of an invisible homogeneous object by means of scattering cancellation. Importantly, the developed technique made it possible to switch from visibility to invisibility regimes at the same frequency of 1.9 GHz by simply changing the temperature of the water in the cylinder from 90 °C to 50 °C. “Our theoretical calculations were successfully tested in microwave experiments. What matters is that the invisibility idea we implemented in our work can be applied to other electromagnetic wave ranges, including to the visible range. Materials with corresponding refractive index are either long known or can be developed at will,” said Mikhail Rybin, first author of the paper and senior researcher at the Metamaterials Laboratory in ITMO University. The discovery of invisibility phenomenon in a homogenous object and not an object covered with additional coating layers is also important from the engineering point of view. Because it is much easier to produce a homogeneous cylinder, the discovery could prompt further development of nanoantennas, wherein invisible structural elements could help reduce disturbances. For instance, invisible rods could be used as supports for a miniature antenna complex connecting two optical chips. The subject of invisibility came into prominence with the development of metamaterials – artificially designed structures with optical properties that are not encountered elsewhere in nature. Metamaterials are capable of changing the direction of light in exotic ways, including making light curve around the cloaked object. Nevertheless, coating layers based on metamaterials are extremely hard to fabricate and are not compatible with many other invisibility ideas. 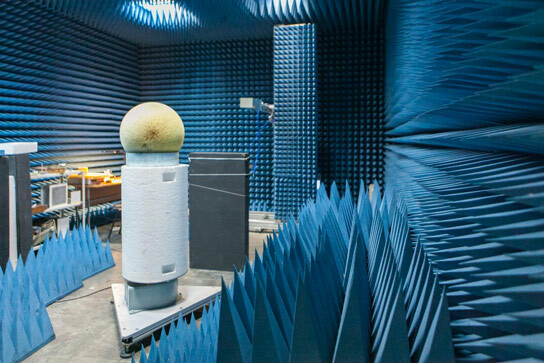 The method developed by the group is based on a new understanding of scattering processes and leaves behind the existing ones in simplicity and cost-effectiveness. Be the first to comment on "Physicists Make Objects Invisible without Metamaterial Cloaking"